​Built at the turn of the 20th century, the River Road House and the Jasmine House have been restored with all the amenities of today, while maintaining the southern charm and architectural splendor of the early 1900's. We offer professional and personalized attention from the very beginning stages of planning, until the last guest leaves. 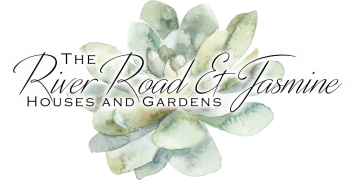 Our level of commitment and dedication from our experienced staff is what sets us apart from other special events facilities, and we hope that you will allow the River Road & Jasmine Houses to provide a location that you and your guests will remember for years to come. In the garden, the iron gazebo is encircled by lights, mature bamboo, and lush landscaping. To create a romantic glow, there are white lights in the trees, and candles are used throughout the house and garden. Torches are lit at dusk, creating a magical atmosphere. Your wedding ceremony can be in either the garden of the River Road House, where you are surrounded by nature, or, if the weather is not cooperating, inside one of the houses. The homes are within steps of each other, making it possible to have a garden wedding at The River Road House and reception following at The Jasmine House. Either way, your setting will be beautiful! In the summer months, the lush landscape shades the wedding garden by 5pm, making outdoor ceremonies possible year round. 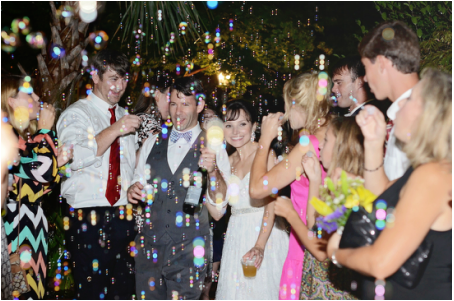 ​You can choose to have your reception at either one or both houses, depending on your needs. The homes offer charm and character that only a historic location can provide, but unlike other historic locations, you are able to use the interior of the houses for your event, not just the grounds. Both the River Road House and the Jasmine House have tall ceilings, heart pine flooring throughout, and are furnished with a mix of antique and modern pieces. Both homes stay decorated year-round with fresh greenery, seasonal flowers, and glowing candles, making the need for additional decorating unnecessary.